Apologies for being away for so long! As usual, real life got in the way. I should be back posting regularly from now. Anyway, I’m not sure about you, dear reader, but I am a chocoholic. I’m not afraid to admit it. 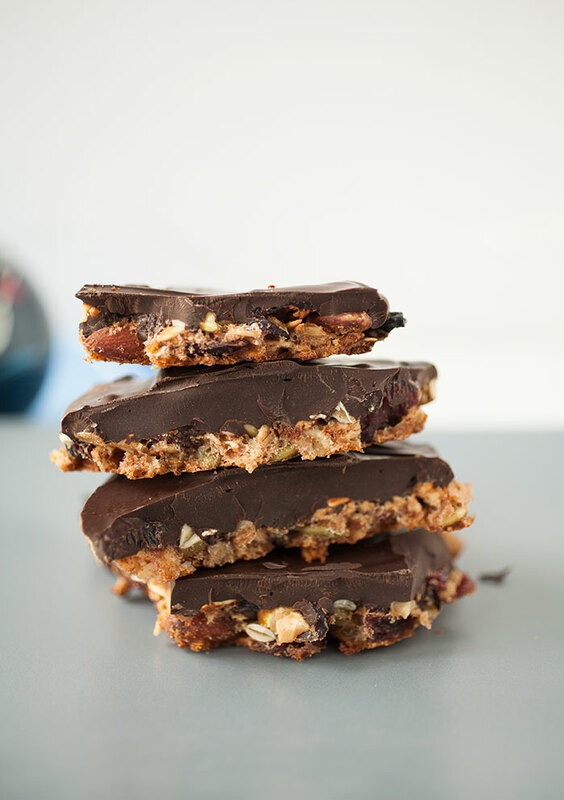 While I’m not a big candy person and never have been, I adore chocolate of almost any kind. And there are many different kinds. So many, in fact, it can get a little confusing. In this primer, I’m going to focus on the basics of chocolate (I’m guessing no one is surprised…). Answers will include: the different between dark and milk chocolate; what those percentages actually mean; is white chocolate actually chocolate? ; and what exactly “Dutched” cocoa is (it’s not made by someone from the Netherlands, which I may or may not have believed when I was a child…)…. Still looking at easy-to-make, basic recipes that are perfect for Valentine’s Day! Chocolate ganache is really a perfect addition to a Valentine’s dessert. 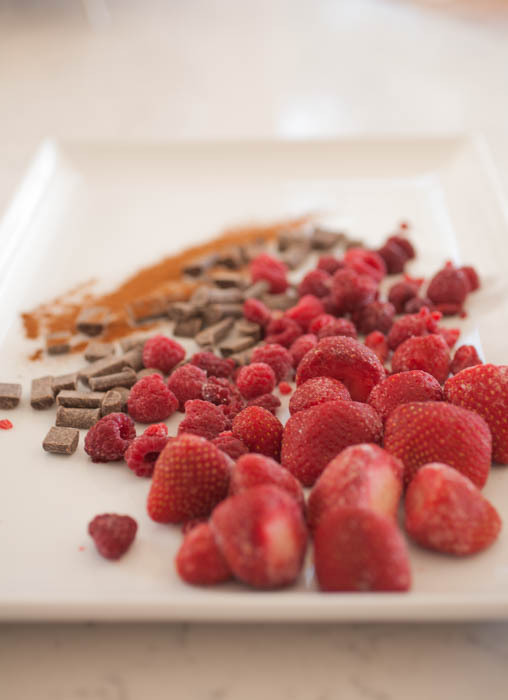 Like the Valentine’s Day smoothie and the roasted strawberries, it’s chocolaty, it’s simple to make, and comes together quickly! Outside of Valentine’s Day, chocolate ganache is a culinary basic that can be used for a large variety of desserts. It can be poured over cake as a type of frosting, combined with whipped cream to make an actual frosting, and as filling for cakes, pies, tartes, cupcakes, and pastries. And, in all honesty, it’s kind of wonderful just to take a big spoonful of it and eat it that way. 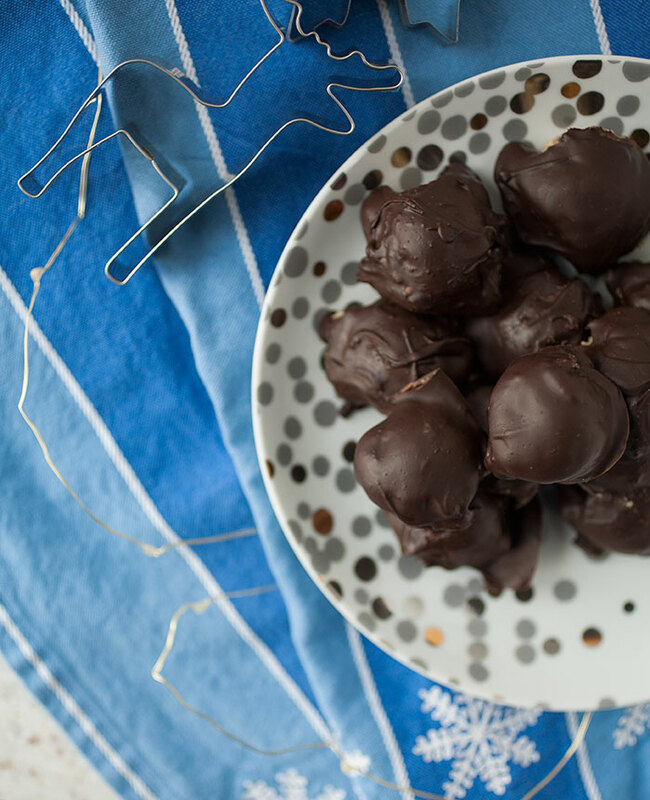 Traditionally, chocolate ganache is made with semi-sweet chocolate, but you can use milk chocolate—it will make ganache that is less rich. I’ve even made bittersweet chocolate ganache, but it wasn’t a favorite of my guests or mine. 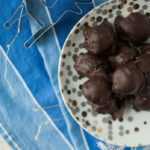 If you love bittersweet chocolate, however, you may love bittersweet chocolate ganache too! Warm the liquid in a heat-safe bowl over a pot of about an inch or two of water simmering on very low heat (make sure the top bowl doesn’t touch the water). Place the chocolate in a separate bowl. Once the liquid is simmering slightly (when small bubbles form around the edges), pour it over the chocolate. Let the chocolate sit for a minute, then begin to slowly stir. It will come together into a beautiful silky, smooth mixture. Place the coconut oil and chocolate in a heat-safe bowl over a pot of water, just as above. Again, make sure the bowl does not touch the water. Let the mixture sit for a minute or two as the chocolate begins to melt, then begin to stir, holding the bowl as you do. Stir just until the entire thing is smooth, then take off the heat. You can use it then or put it in the fridge to set for a bit before you use it. I hope your Valentine’s Day is wonderful, no matter how you celebrate! I always forget how much I like Valentine’s Day until we get to February. I have to admit that I enjoy it a lot more now that I actually have a valentine, but I’ve always liked it (plus all the corny movies that come along with it…). What can I say? I’m a huge romantic. 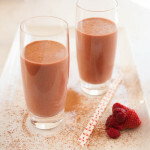 This breakfast Valentine’s Smoothie is sweet, chocolaty, and a beautiful way to treat either your Valentine or yourself on Valentine’s Day morning. Plus, it’s actually decently healthy, especially if you choose to add greens to it! A few notes about the ingredients for this breakfast smoothie. The greens: I usually use spinach because it’s the mildest green and full of great stuff (I know, very descriptive). 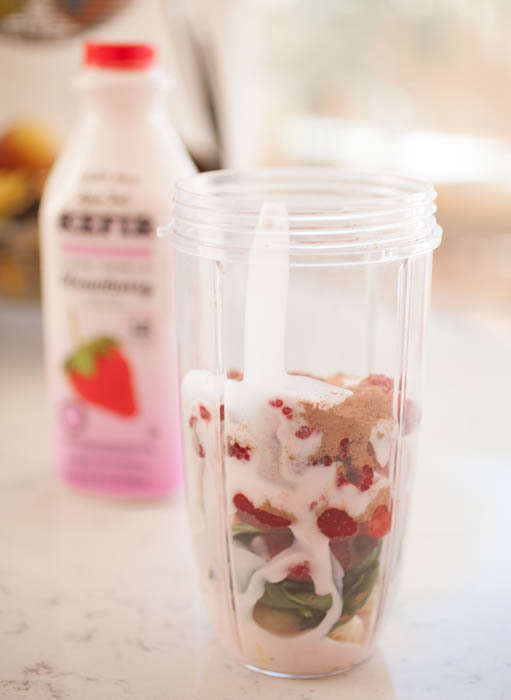 I also use frozen strawberries and frozen raspberries because it helps keep the drink frosty like a smoothie is supposed to be. Also, cacao vs. cocoa powder—either is completely fine. 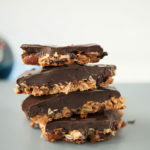 The only difference is that cacao adds additional benefits, which you can read about in the homemade hot chocolate blog. And, if you haven’t had it before, kefir is a Middle Eastern yogurt drink. It comes in many flavors and you can find it at most stores, now. 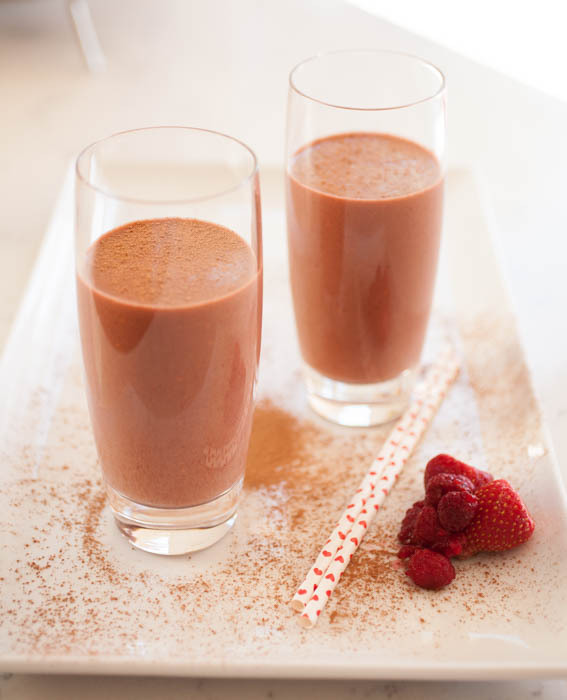 This sweet, chocolaty breakfast smoothie is the perfect way to welcome Valentine's Day. It's even kind of healthy! 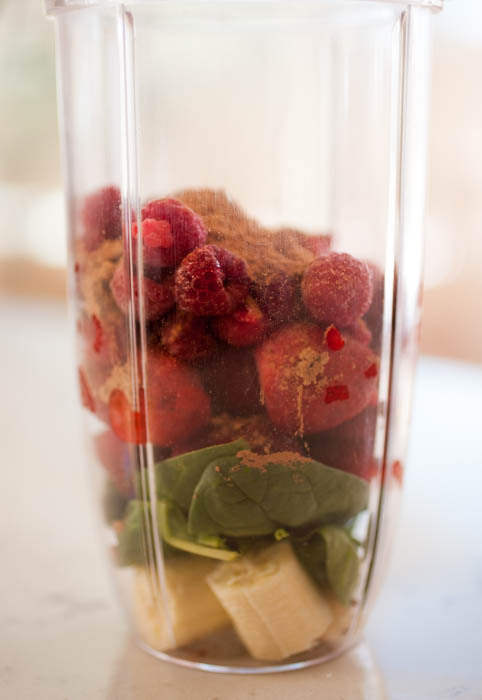 Place all ingredients together in your blender of choice. 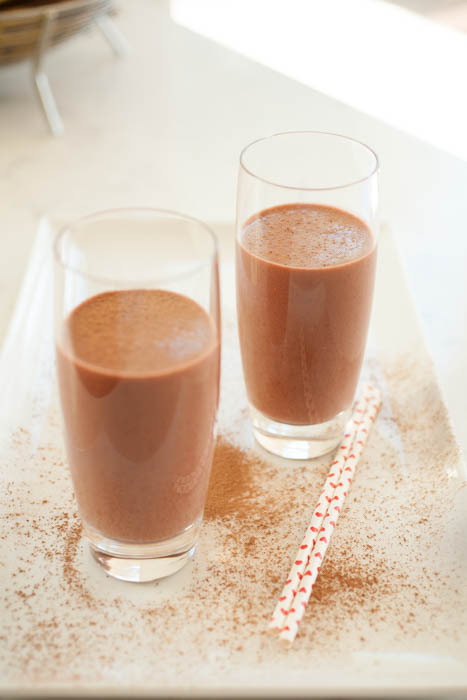 Blend, pour into a cup, and enjoy! So put on those cheesy movies, sit back, and sip as you celebrate! And have fun with whatever other plans you have, if you have any. It’s our tradition to eat peanut butter and jelly sandwiches and have a Die Hard marathon. Do you have any Valentine’s traditions? What’s your favorite way to spend Valentine’s Day? Let me know in the comments below!